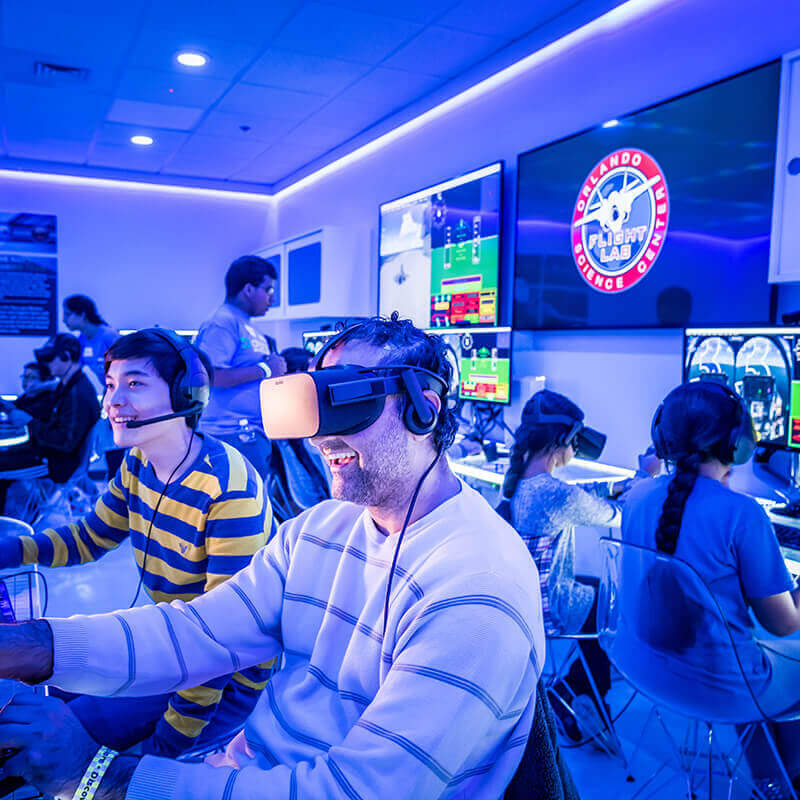 Visitors ages 13 and up can “virtually” climb into the cockpit and experience the life of a pilot in this immersive experience that combines technology with teamwork! 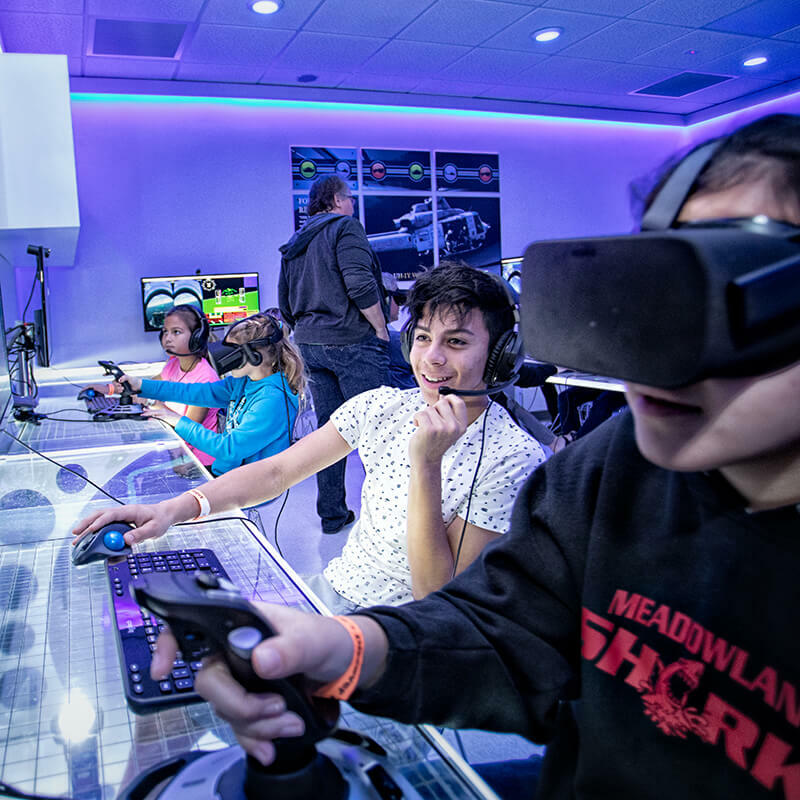 Flight Lab uses real-world mission scenarios to teach standards-based STEM concepts. 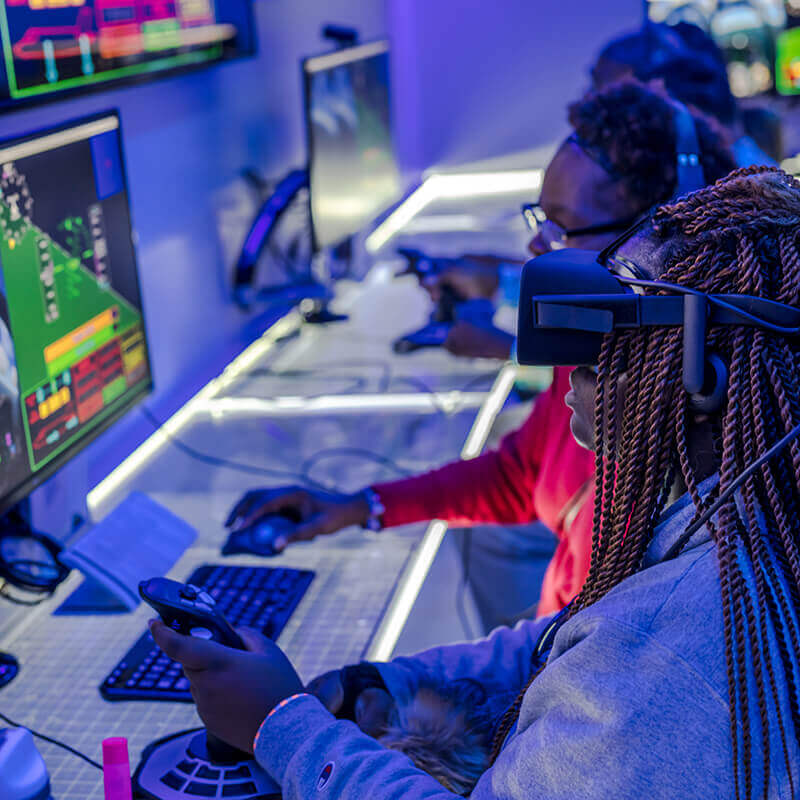 The lab contains 13 flight simulator stations where participants use Oculus Rift head-mounted display units as they learn how to fly, navigate, communicate and work as a team. Some missions will require all teams to work together, while others will pit the best pilots against one another. This experience is best for ages 13 and up. Check the Science Live! Calendar or pick up a Daily Schedule to see what’s happening during your visit. Funding is provided by the Office of Naval Research. Subject matter expertise and curriculum support is provided by the Naval Air Warfare Center/Training Systems Division. Technology and curriculum is designed in partnership with TEQGames. 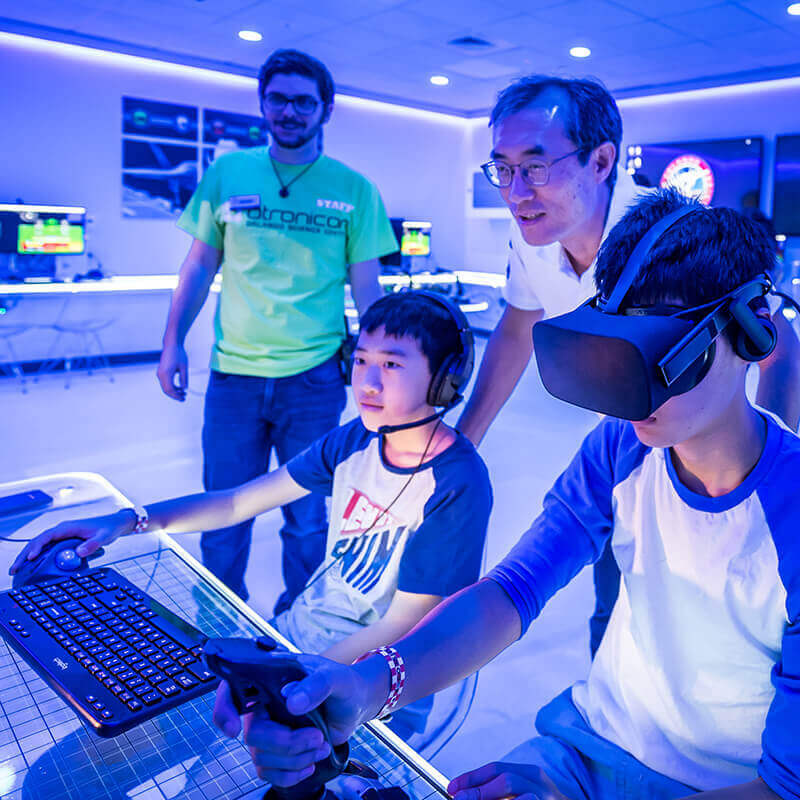 The flight training software was developed by Lockheed Martin and has been used to teach real pilots to fly.